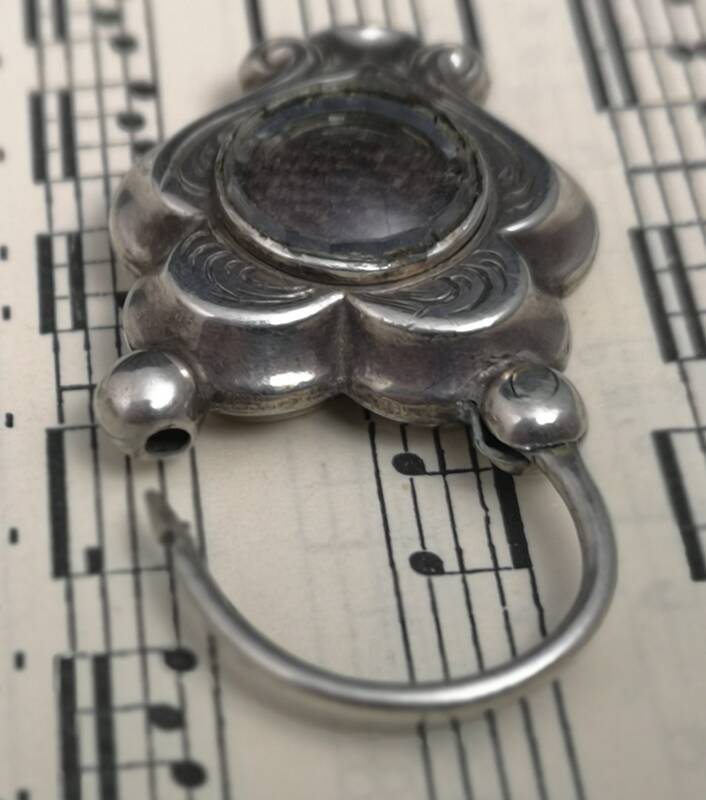 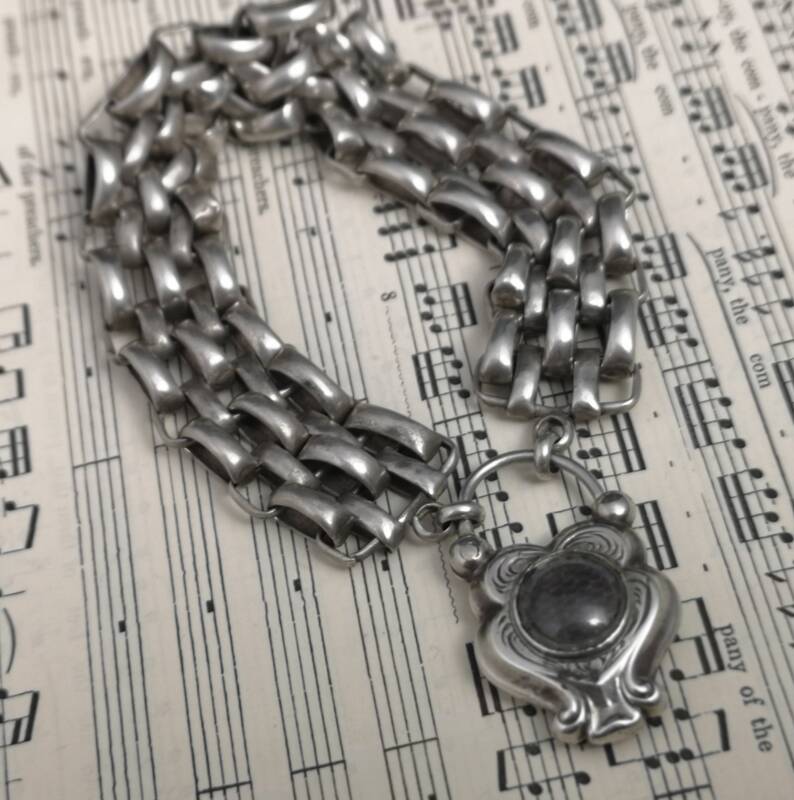 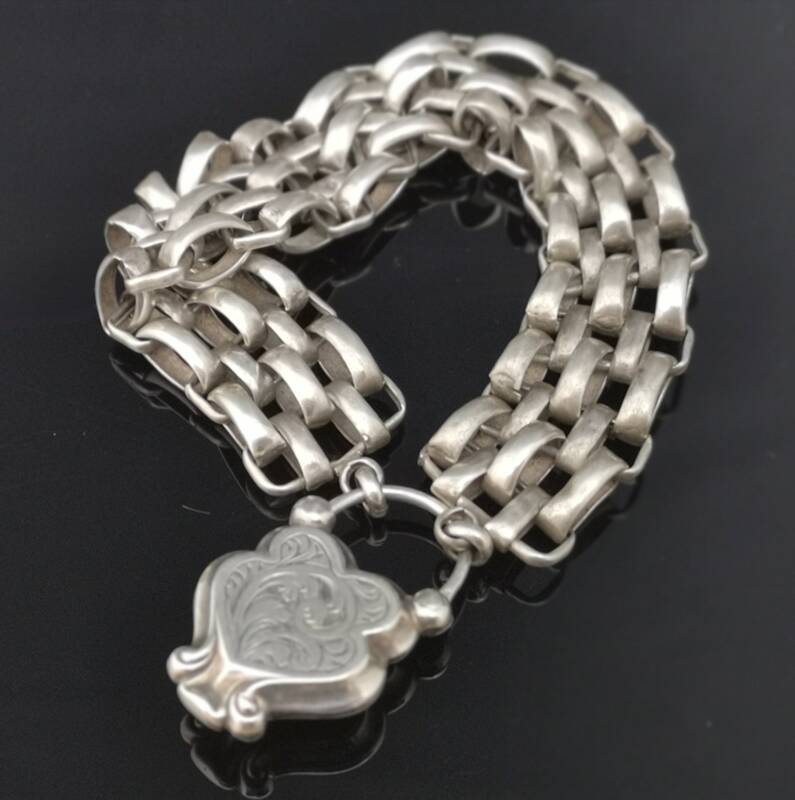 A gorgeous Victorian sterling silver mourning bracelet. 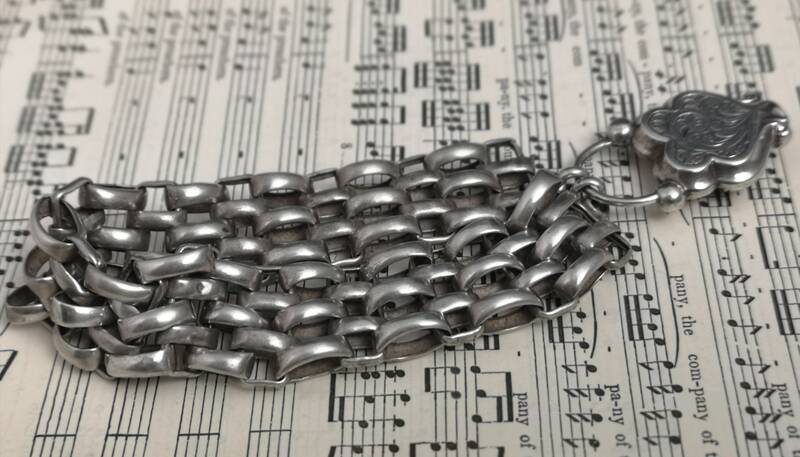 It is made up of a lovely chunky brick link in unmarked sterling silver. 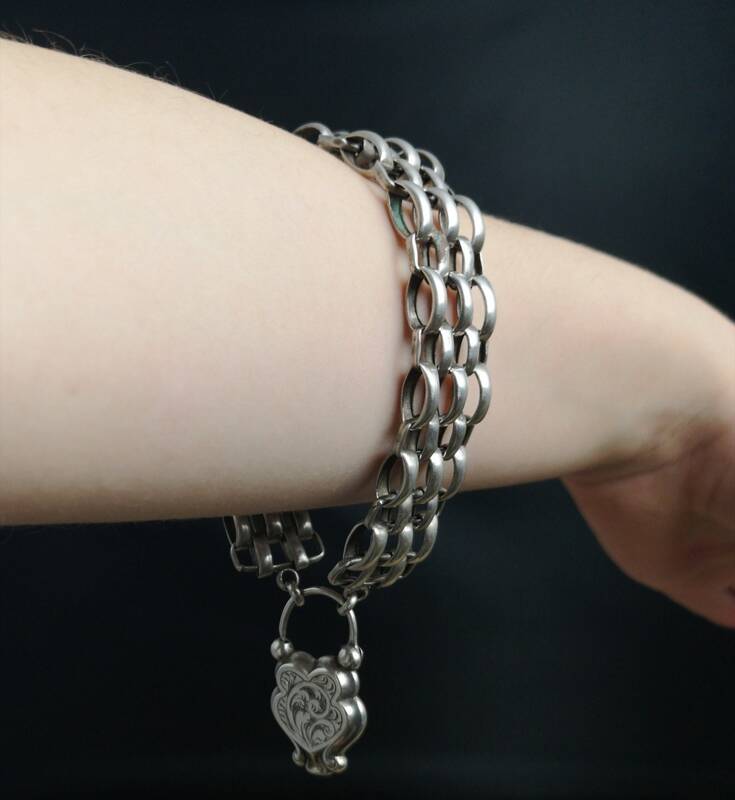 The bracelet is held together by a fancy sterling silver padlock clasp with a hinged mechanism. 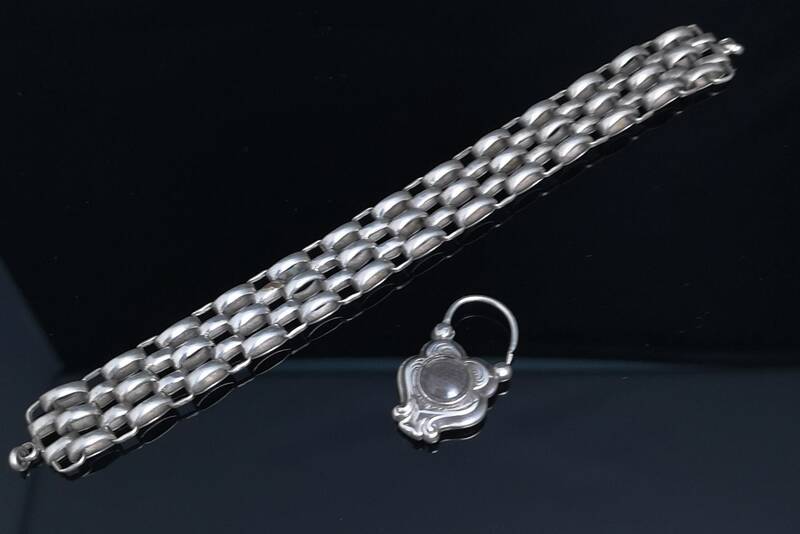 The front of the padlock features a crystal hair verso with a lock of brown plaited hair and the back has a decorative chased engraved pattern. 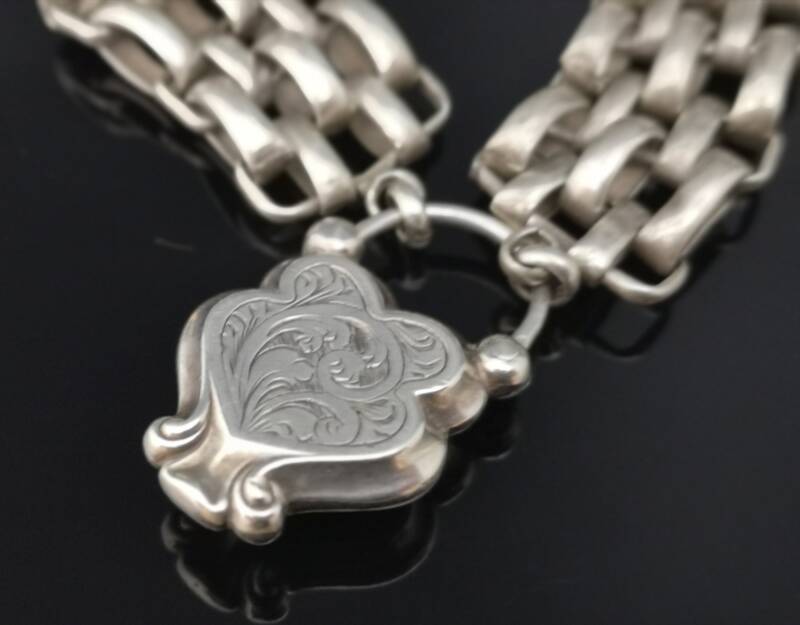 A truly beautiful piece of sentiment jewellery. 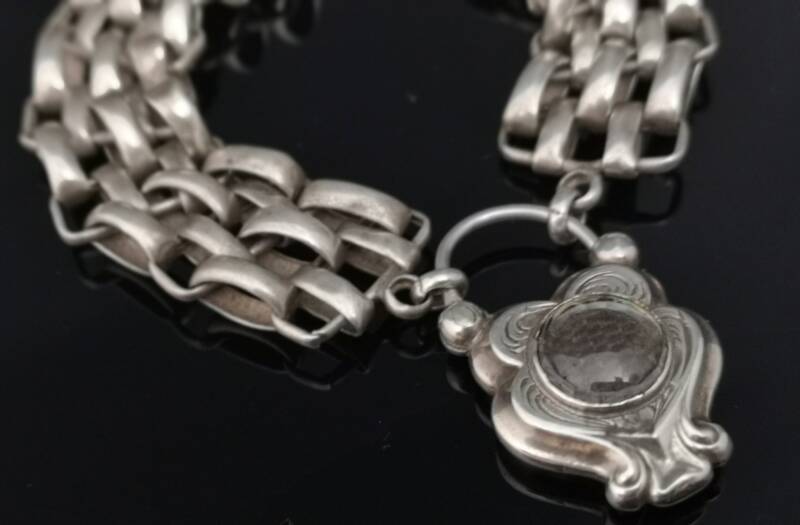 The entire piece is unmarked but tests as sterling silver 925. 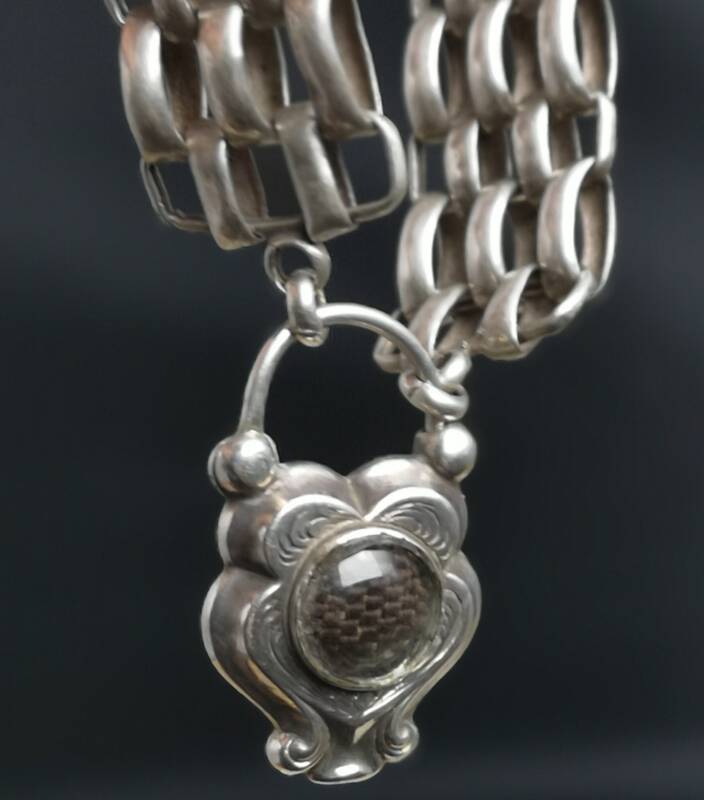 Good condition overall, some small dents in individual links but not directly noticeable and lots of patina. 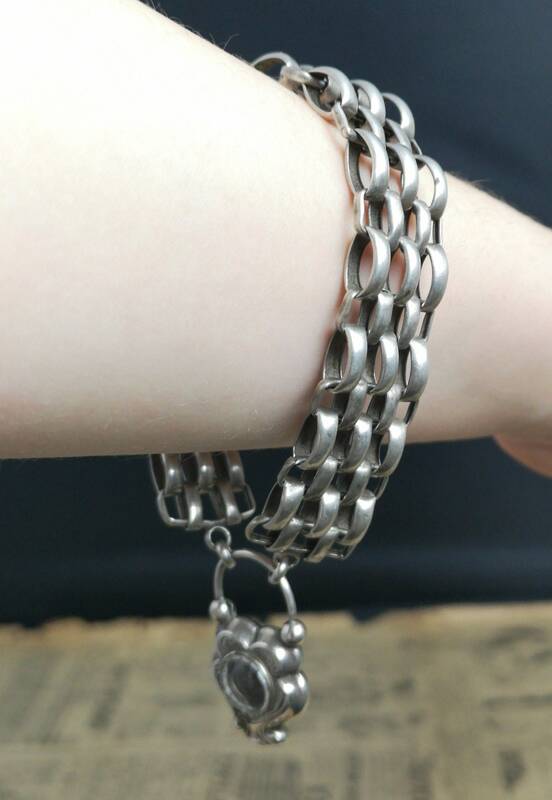 It weighs approx 20.44 grams.